I’ve been dwelling on this verse from Galatians, penned by the Apostle Paul, for awhile this morning. It was on August 9 of last year that Michael Brown was shot and killed by a white police officer in Ferguson, Missouri. Since then our country’s problem with race has been thrust into the forefront with many high profile racial incidents. Let’s also not forget there have surely been many other incidents that haven’t made the national headlines. For some reason we continue to see each other as different. Well, maybe that’s not quite the word I’m looking for. Being different and diverse is a wonderful thing. Imagine the music, the food, and the literature that we’d be missing out on if everyone was the same. What I’m really trying to say is that we continue to see an “us” and a “them.” This has unfortunately taken over our national reasoning. If it’s not white vs black it’s democrat vs republican, straight vs gay, Christian vs Muslim, atheist vs religious…I could go on. You get the picture. The Apostle Paul calls us to elevate our thinking. In the world in which he wrote, Jew vs Gentile was the big divide. You were either a Jew or a Gentile, period, and as Paul mentions earlier in Galatians, even Peter was not immune from this divide, this feeling of superiority, as he was refusing to eat with Gentiles. Paul rebukes Peter for not living in accordance with the Gospel of Christ. He challenges Peter to elevate his thinking as well. 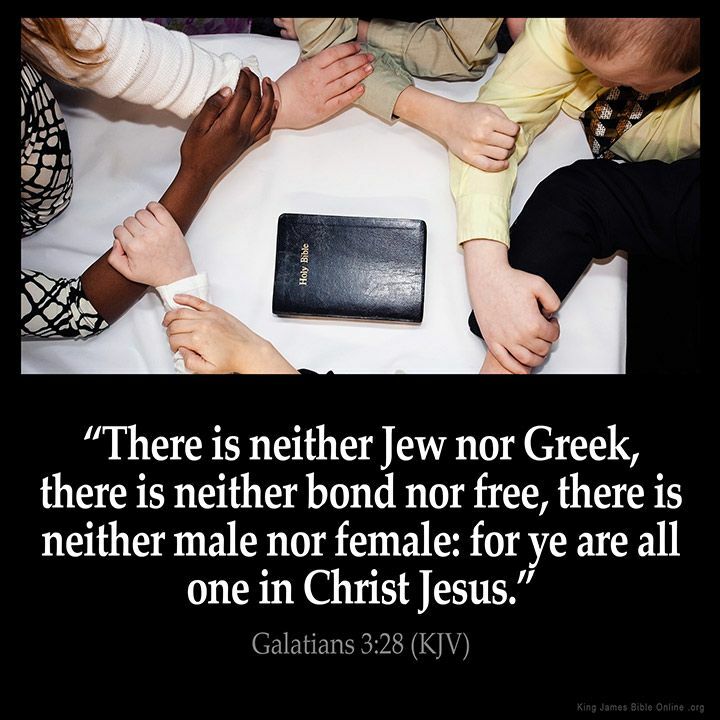 We are one in Christ, period. Notice that Paul doesn’t state that as a suggestion, he doesn’t tell the Galatians that they “should be” or should “try to be” one in Christ. He states that we are one in Christ as an objective truth. With this in mind, I think this verse is ever so important in the times in which we live. The barriers we put up through hate, violence, and degradation of our brothers and sisters are not there naturally. We put them there, and we must strive to pull them down. To this aim, I offer this humble prayer. Maybe some of you will join me in it. Dear Father, you are great and powerful. Nothing is beyond the reach of your hand. Nothing is beyond the scope of your love. Nothing is beyond the power of your grace. are of our own making, and are but a house of straw when faced with the mighty wind of your love and of your Holy Spirit. Help us break down these walls. Bind us together with cords that cannot be broken. Help us break down our culture of violence and hate. Make us One, Lord. Make us One. In the name of your Suffering Son.